WASHINGTON, D.C. (AP) — Newly declassified pages from a congressional report into 9/11 released Friday have reignited speculation that some of the hijackers had links to Saudis, including government officials – allegations that were never substantiated by later U.S. investigations into the terrorist attacks. Congress released the last chapter of the congressional inquiry that has been kept under wraps for more than 13 years, stored in a secure room in the basement of the Capitol. Lawmakers and relatives of victims of the attacks, who believe that Saudi links to the attackers were not thoroughly investigated, campaigned for years to get the pages released. Former Florida Sen. Bob Graham, the co-chairman of the congressional inquiry, who pushed hard for the last chapter of the inquiry’s report to be released, believes the hijackers had an extensive Saudi support system while they were in the United States. Saudi Arabia itself has urged the release of the chapter since 2002 so the kingdom could respond to any allegations. 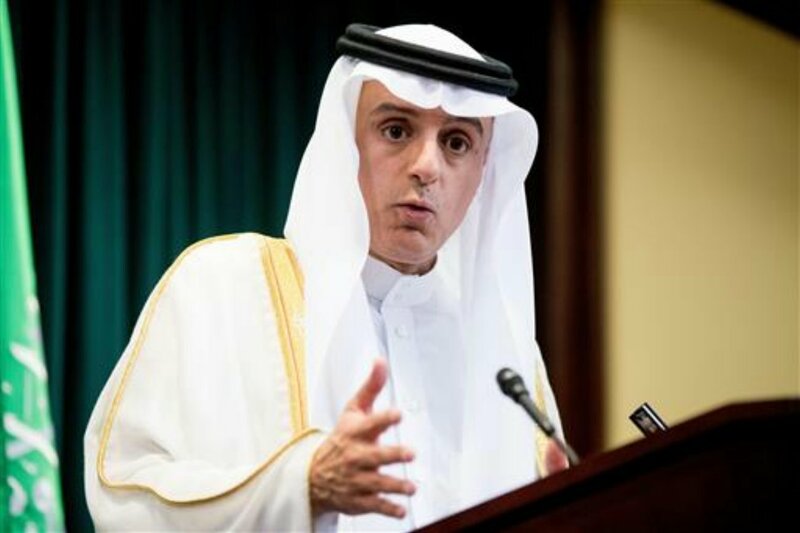 Saudi Foreign Minister Adel al-Jubier told reporters Friday that his government welcomed the release of the 28 pages and said the documents should finally put to rest questions about Saudi Arabia’s suspected role in the Sept. 11 terrorist attack. “That matter is now finished,” al-Jubier said. “The surprise in the 28 pages is that there is no surprise.” al-Jubier said. The 9/11 Families and Victims welcomed the release, and said it confirmed what they’ve long known. “Each of the claims the 9/11 families and victims has made against the kingdom of Saudi Arabia enjoys extensive support in the findings of a broad range of investigative documents authored by multiple U.S. intelligence agencies,” the families said. 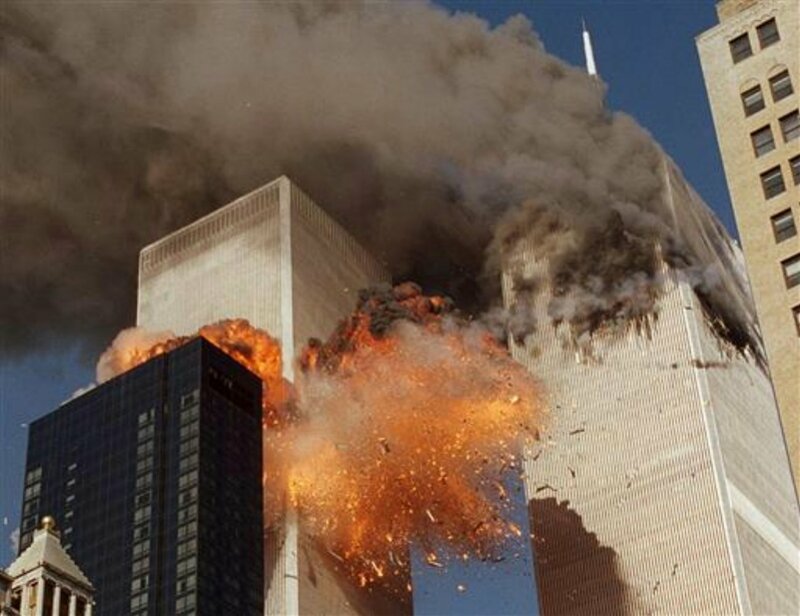 As a member of the House Intelligence Committee, I approved the release and declassification of the 28, 9/11 pages. I’ve been calling for their release for some time, given the importance of government transparency and the fact that that the contents do not jeopardize our national security. Releasing these pages was important to end speculation about what they do or do not say. What they do contain is a number of recommendations for further investigation by the intelligence community—recommendations which were followed but which never revealed conclusive evidence of the Saudi government’s involvement in the planning or financing of the 9/11 attacks. There is no ‘smoking gun’ in these pages, but I think it’s helpful information for the public to know. —Omar al-Bayoumi, a Saudi national who helped two of the hijackers in California, was suspected of being a Saudi intelligence officer. The 9/11 Commission report found him to be an “unlikely candidate for clandestine involvement” with Islamic extremists. The new document says that according to FBI files, al-Bayoumi had “extensive contact with Saudi government establishments in the United States and received financial support from a Saudi company affiliated with the Saudi Ministry of Defense. That company reportedly had ties to Osama bin Laden and al-Qaida,” which orchestrated the attacks. —Osama Bassnan, who lived across the street from two of the hijackers in California. The document also notes that U.S. and coalition forces retrieved the telephone book of Abu Zubaydah, the first high-profile al-Qaida terror suspect captured after the Sept. 11 attacks. The telephone book, obtained during his capture in Pakistan in March 2002, contained an unlisted number traced to ASPCOL Corp. in Aspen, Colorado, which the FBI field office in Denver determined “manages the affairs of the Colorado residence of Prince Bandar (bin Sultan),” who was the Saudi ambassador to the United States at the time. Other individuals named in the document include Saleh al-Hussayen, a Saudi interior ministry official who stayed at the same hotel in Herndon, Virginia, as one of the hijackers. “While al-Hussayen claimed after Sept. 11 not to know the hijackers, FBI agents believed he was being deceptive. He was able to depart the United States despite FBI efforts to locate and re-interview him,” the document said. The document also described lax sharing of information between government agencies. It notes an instance where a CIA memo about alleged financial connections between the hijackers, the Saudi government and members of the Saudi royal family was put in an FBI case file, but never made it to FBI headquarters in Washington. Two years ago, under pressure from the families of those killed or injured on Sept. 11, and others, President Barack Obama ordered a declassification review of the chapter. National Intelligence Director James Clapper conducted that declassification review and transmitted the document to Congress, which released the pages online Friday. Several investigations into 9/11 followed the congressional inquiry, which released its report — minus the secret chapter — in December 2002. The most well-known investigation was done by the 9/11 Commission, led by former Gov. Tom Kean, R-New Jersey, and former Rep. Lee Hamilton, D-Indiana. Kean and Hamilton said the 28 pages were based almost entirely on raw, unvetted material that came to the FBI. “The leads developed in 2002 and 2003 were checked out as thoroughly as possible,” they said in a statement Friday. Sen. Richard Burr, R-North Carolina, chairman of the Senate intelligence committee, and vice chairman, Dianne Feinstein, D-California, urged the public to read the results of other investigations by the CIA and FBI that “debunk” many of the allegations, and put conspiracy theories to rest. Excepting the statement from Rep. Chris Stewart, Story by DEB RIECHMANN, Associated Press. Associated Press writers Erica Werner and Alicia A. Caldwell contributed to this report. yup, muslims with box cutters done it. Muslims with absolutely no experience flying jetliners that pulled off a maneuver even experienced pilots would have difficulty doing. And just a total coincidence that all 3 buildings went down like a perfectly executed controlled-demolition. Many many coincidences that day. Billions in insurance money paid to a guy named Silverstein, and many Israelis that just happened to not show up for work that day. But it was all done by cave-dwelling muslims out in the middle-of-nowhere afghanistan! Don’t let anyone tell u otherwise! And Saddam Hussein was a bad man! so it was all worth it, right? Don’t bother reading it folks ! Because I already know that idiot Bob will be here and tell us he has proof it was a Mormon conspiracy. ..